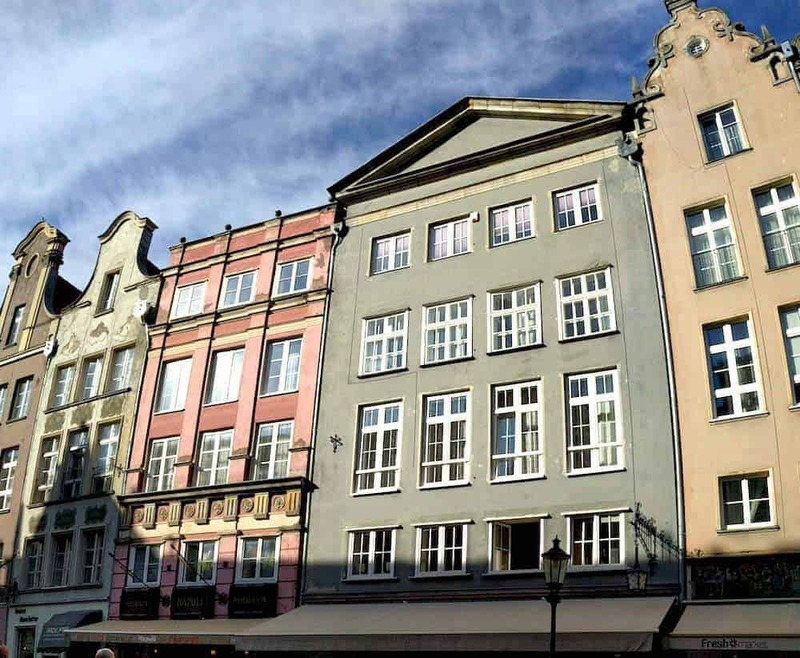 Amazing Midweek Breaks in Europe – Gdansk! Gdansk in Northern Poland is a perfect midweek break in Europe. The old town is a magical place to stroll. On top of that, the beach is only 15 minutes away. Gdansk is a very important city and it always has been throughout history. The port town has been destroyed and rebuilt over time. Today it is the largest and most visited city in Northern Poland. Gdansk is a part of the Polish TriCity by the sea. These are the cities that are part of TriCity. Gdansk is known as an ancient cultural town which draws a lot of tourists. Gdynia has a sea harbor and holds a lot of industry. And last but not least, Sopot is a relaxed, little beach town. How many days in Gdansk? You can visit Gdansk in a day and still see most of the highlights. Even though one day could suffice, we recommend extra days for a relaxed visit. Since our itinerary is for three days, we added a few interesting day-trips from Gdansk. Keep scrolling to find out how we divided our 3 days in Gdansk! Public transportation in Poland is well developed and accessible. Gdansk Glowny is the main railway station and offers connections to anywhere. A railway system connects the three cities of TriCity, which are Gdansk, Gdynia, and Sopot. The airport is located 14 km out of town. If you want to plan an amazing short break to Gdansk, you can book your flight right away! For your convenience, the airport has a rail connection to the city. You can also get a shuttle to get from the airport to the city. The central station is called Gdansk Glowny. Most trains stop here and passengers can get to any destination from this station. We arrived by train from Poznan and left by train a few days later. Gdansk Glowny is one of the most beautiful train stations we visited so far. Gdansk can be reached by night train from Germany or you can include this destination in a great European train journey. Obviously, Gdansk is also accessible by car. The city is located in the North of Poland, not too far from the Baltic Sea. Highways are provided all the way to the city. Gdansk City isn’t too large. So it’s not difficult to get around on foot and that’s probably the best way to do it. Gdansk is bulking with narrow streets, cozy squares and picturesque old buildings. But if you don’t like to walk, you can always get a bus, tram or ride the hop-on-hop-off bus. During summertime, you can take a water tram to cross the river. The other cities of Tricity are connected to Gdansk by rail. Again, we recommend rail transportation to move around in the Gdansk area. 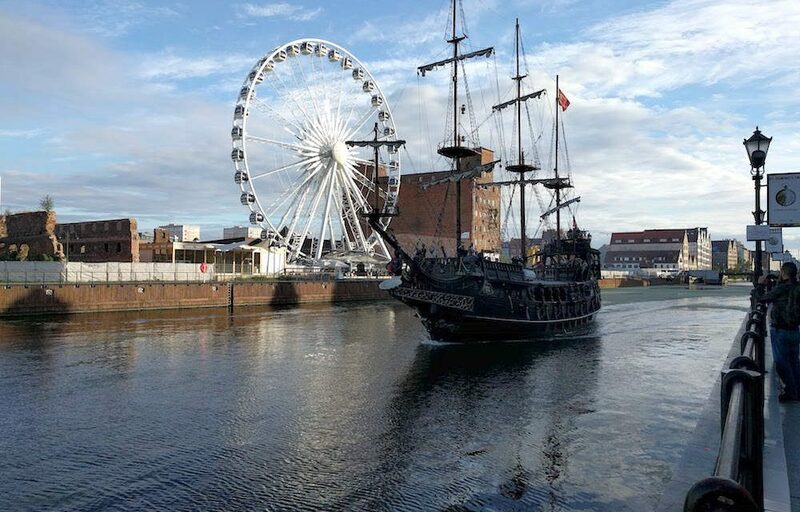 Gdansk offers a lot of accommodation possibilities. Staying in town is generally a little more expensive than staying in one of the many charming suburbs. 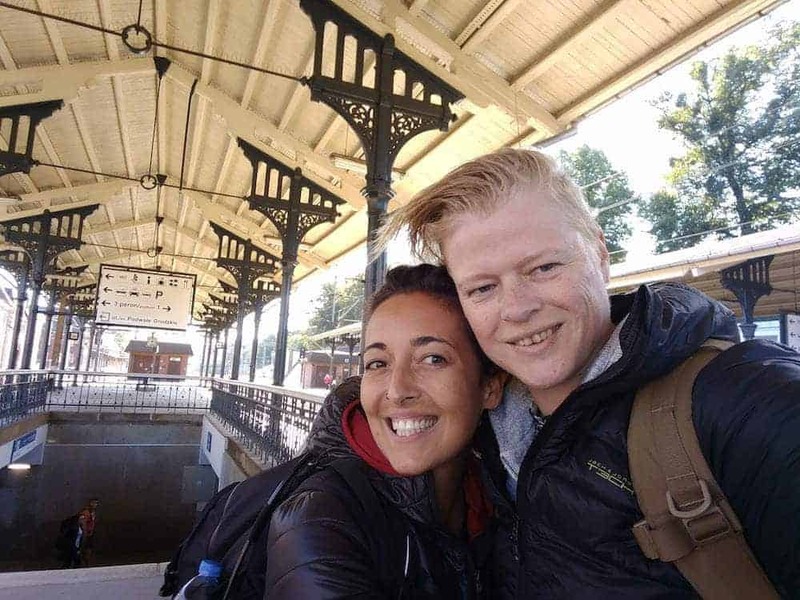 We opted for a great hostel in the suburbs which we really liked a lot! It’s very easy to get a train or tram into town. There are many Airbnb hosts in Gdansk and surroundings as well. 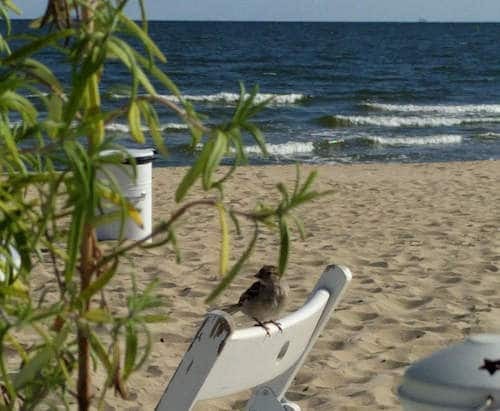 Another great option is staying in the beach town of Sopot to relax. Book accommodation on Airbnb with this link and get a 30€ discount on your first stay. We always choose to go for a walk as the first activity in a new town. This way, you can get a little familiar with your new surroundings. Sometimes we even bump into hidden gems! Most tourist attractions in Gdansk are located in the city center, close to the main square. The city is bulking with ancients buildings and little streets. These walking tours will guide you past all the main attractions you’re not allowed to miss. Golden Gate and the Green Gate city gates are among the most beautiful sights in Gdansk. Dluga Street is the iconic street you probably know from all the Gdansk iconic images. This lovely city square draws a lot of tourists because it’s just so beautiful. Gdansk Town Hall or Ratusz is also a beautiful building with amazing painted ceilings. Entrance to the Ratusz is free. The scenic waterfront in Gdansk is called Motlawa River bank. You can find find cozy bars, restaurants and some of the most amazing views in Gdansk. The Maritime Museum is located by the river bank. The building itself is a pretty sight and you can see it best from across the water. St Mary Street or Mariacka Street is not only great to shop for authentic souvenirs. The street also looks amazing. Furthermore, you can shop for souvenirs anywhere along the way and everywhere in Gdansk Old Town. If you don’t mind getting a little bit out of the Old City Center in order to visit a Farmers Market, consider visiting Gdanski Bazar Natury. Popular souvenirs to bring home from Gdansk are amber, painted ceramic handicrafts, locally made art pieces, and traditional liquor. The second day in Gdansk, we move away from the city center and catch a train to the lovely town of Sopot. The train ride only takes 10 minutes from Gdansk Glowny. 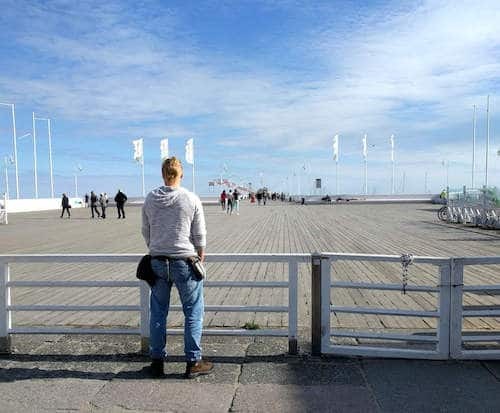 Sopot is one of the Tri-City towns and locals travel there to relax and enjoy the beach. We visited Sopot in one day and enjoyed a relaxed day by the water. Sopot is fun to visit in summer as well as during the other seasons. Take a stroll on the Sopot pier and shop for souvenirs by the water. You do have to pay a small fee in order to get access to the pier. 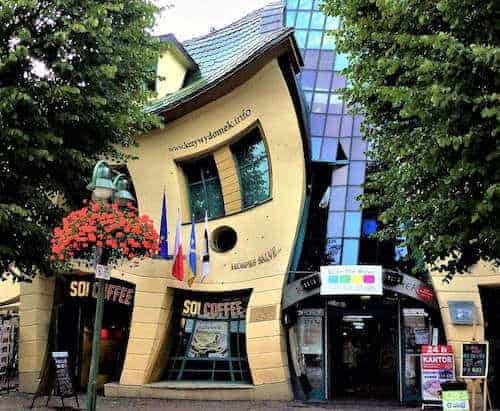 Have you already seen ‘the Crooked House’ in Sopot! It’s right in the middle of town and it looks quite eclectic! Return to Gdansk by train and get ready to explore the local food scene. Join this amazing tour to discover all about the local food and how it’s made. Get to taste delicious Polish food. During 3 hours you get more food than you can eat and visit 3 different specialty restaurants in Gdansk. These tours tend to be extremely successful and chances are good you will go back to one of these places the next evening! 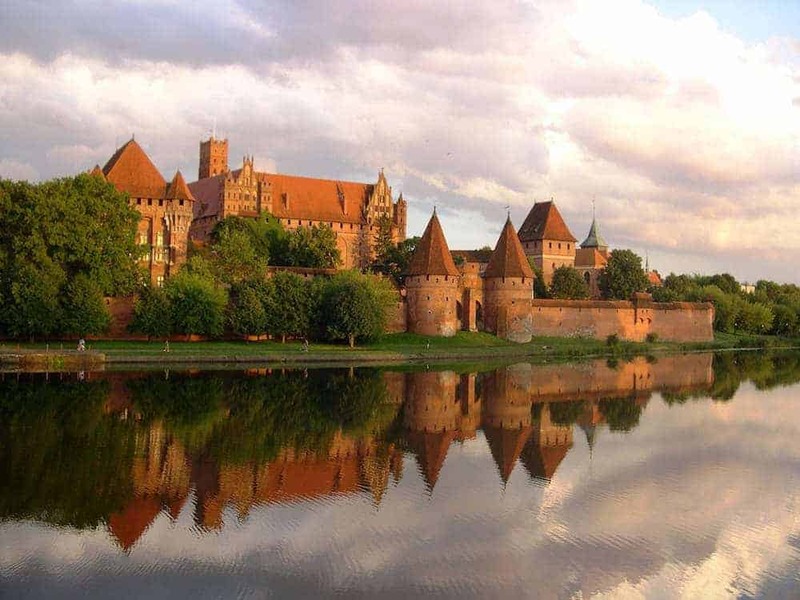 Malbork is a 13th-century fortress and castle near Gdansk. It used to protect the mainland from intruders coming over the water. The castle has a rich history and switched ownership a few times. Currently, the castle is beautifully renovated and it’s a great day trip from Gdansk. When planning 3 days in Gdansk, you have the freedom to plan your itinerary to be relaxed and quiet. We added 2 days with excursions nearby because these excursions are definitely worthy of your time. When we visited Gdansk during our Interrail trip through Europe, we noticed that one full day to discover Gdansk is enough. That’s why we divided the other two days into interesting and fun excursions. If you enjoy visiting churches and cathedrals, you can easily fill up 2 days in Gdansk! Then we still recommend one of the excursions for your third day. This city guide to Gdansk is a part of a series of Amazing Midweek Breaks in Europe.